A versatile world-class vocalist who has performed all over Australia, Singapore, and her native New Zealand, where she sang with The N.Z. Army Band and the N.Z. Symphony Orchestra. 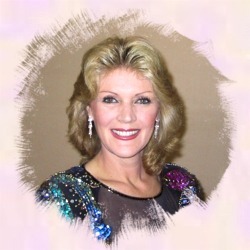 Judy's first love is Country Music, and in 1981 she was voted Top Female Vocalist at the prestigious Gold Guitar Awards and again at the South Island Country Music Awards. As well as performing solo, Judy can often be seen in the 'Love that Country Music' live Variety show that also stars Wayne Horsburgh. A long-awaited new album of Judy's music is now being recorded.